Luminous smile. Sparkling look. Dany and Dana are the charming ambassadors of the Children’s Cancer Center of Lebanon. Combative, they face disease with courage. 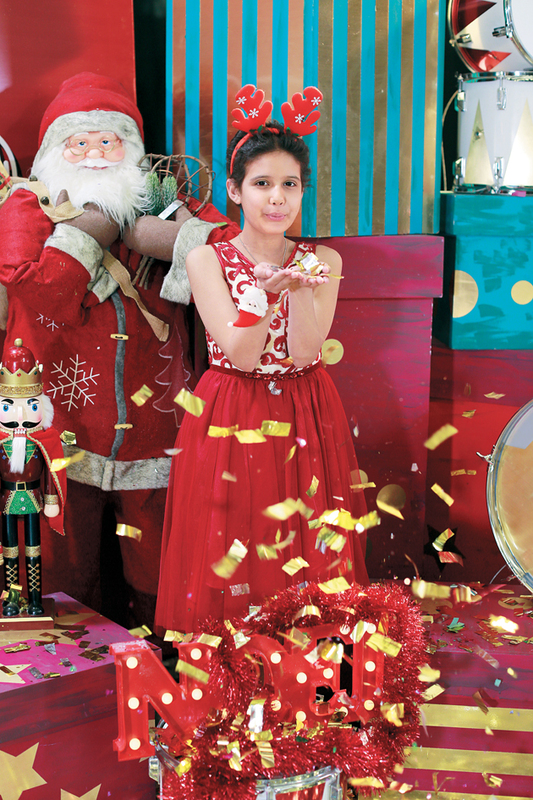 With Prestige, they celebrate the CCCL’s hope and meet you from December 14th until the 18th at Christmas Market «Christmas In Action» at Trainstation Mar Mikhaël. Dany particularly likes the holiday for its thousand and one gifts. This is his first year at CCCL. In January 2016, Dany, a few months after his fourth birthday, suddenly became weak and pale. His parents noticed this strange fact and directly accompanied him to the pediatrician who detected a problem in the white blood cells and advised parents to consult without delay an oncologist for children. The child urgently needed specialized treatment. They immediately made an appointment with CCCL. Then they discovered that Dany suffers from leukemia, a cancer of the blood. Dany began his treatment in February 2016 at the CCCL, it takes about two years in the Center to recover his health. His doctors, nurses and even friends love his company, they appreciate his positivism, his hope and affection in the Center. Listening to Dana singing beside him makes him so joyful that he looks forward to her visit with him at Christmas in Action, a generous Christmas market that has the merit of participating in Dana’s and Dany’s treatment, with other children of the Children’s Cancer Center of Lebanon whose mission to sow hope and save lives. It’s the most wonderful time of the year…»Dana chants in the halls of the Children’s Cancer Center of Lebanon (CCCL) holding her friend’s Dany hand. It’s her favorite song for the holiday season, she brings joy to his heart and a bright smile on the lips. Dana reflects the positive energy she conveys to all her friends at the Center, including her friend Dany who enjoys spending time with her at the Center. Dana was 10 years old when her parents discovered lymphoma, a lymph node tumor … This was the beginning of her trip to CCCL, her only hope for healing. Today, at 11 years and 7 months, strong and pretty girl, Dana needs another two years of medication to finish her treatment in this reference center of the region. Her parents remain hopeful, convinced that at CCCL, the treatment success rate is 80%, which reassures them that Dana is receiving the best treatment and will be able to continue a healthy life free from cancer. To a question about Christmas, Dana answers: «It’s the best time of the year, I love the flamboyant decorations, the spirit of joy and the year-end vows that spring from everywhere.» She continues: «Especially here at the CCCL where they transform the space into a wonderful Christmas home with garlands everywhere. I love taking part in the Center’s activities, especially during this Christmas period … It’s really something.» Dana also enjoys participating in Christmas parties and Christmas markets in the city. Her visit last year at Christmas in Action was the most beautiful experience, indulging in her favorite activity, shopping, while she was enjoying listening to Christmas hymns among decorations and food.